SOPA supporter and MPAA president Chris Dodd wants everyone to know that Hollywood doesn't really hate the internet, but the battle against piracy is going to continue. 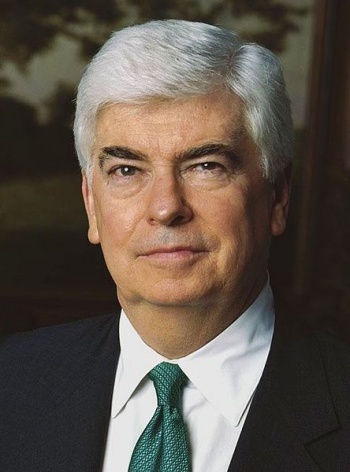 MPAA President Chris Dodd hasn't won a lot of fans lately. This isn't all that surprising, since the guy was a big supporter of controversial bills the Stop Online Piracy Act and Protect IP Act. Once SOPA was killed - almost overnight after the very public Web blackout - the former politician wound up making some ominous comments about how Hollywood wouldn't donate money to Obama's re-election campaign. These didn't sit well with the general public, and Dodd became the target of a petition demanding a criminal investigation of him based on bribery charges. While the White House declined to pursue any action against the man, his reputation with the general public is pretty well shot. Now, Dodd is trying to make peace with people and claim that Hollywood really does love the Web and tech industries. On Wednesday, Dodd was speaking at the Atlanta Press Club, where he stated that Hollywood is "pro-technology and pro-internet." However, exactly how the film industry is in favor these things isn't really apparent, because it seems that Dodd didn't really go into detail about this. "We are not talking about overzealous film buffs or political activists making a statement about freedom of information. We are talking about criminals. "We cannot draw up a business model that accounts for the wholesale theft of our product. It's true for pharmacies. It's true for the automobile industry. It's true for software developers. And it's true for us." Honestly, Dodd's comments feel like he's trying to do damage control and explain away the entertainment industry's support of SOPA and PIPA. The problem is that he very publicly criticized opponents of the bills, going so far as to call the internet blackout last month "an abuse of power" by those sites involved. Basically, he's managed to (possibly irrevocably) harm both his and the MPAA's reputations with a large number of Web users.